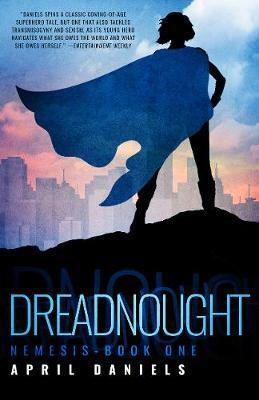 - Superhero novels are a popular subgenre in YA, from books like Bethany Frenette's Dark Star series to the upcoming Heroine Complex by Sarah Kuhn. - April Daniels is a trans woman who is active in the LGBT community, with an active social media presence. April Daniels graduated from UC Santa Cruz with a degree in literature. She completed her first manuscript by scribbling a few sentences at a time between calls while working in the customer support department for a well-known video game console. She has a number of hobbies, most of which are boring and predictable. As nostalgia for the 1990s comes into its full bloom, she has become ever more convinced that she was born two or three years too late and missed all the good stuff the first time around.